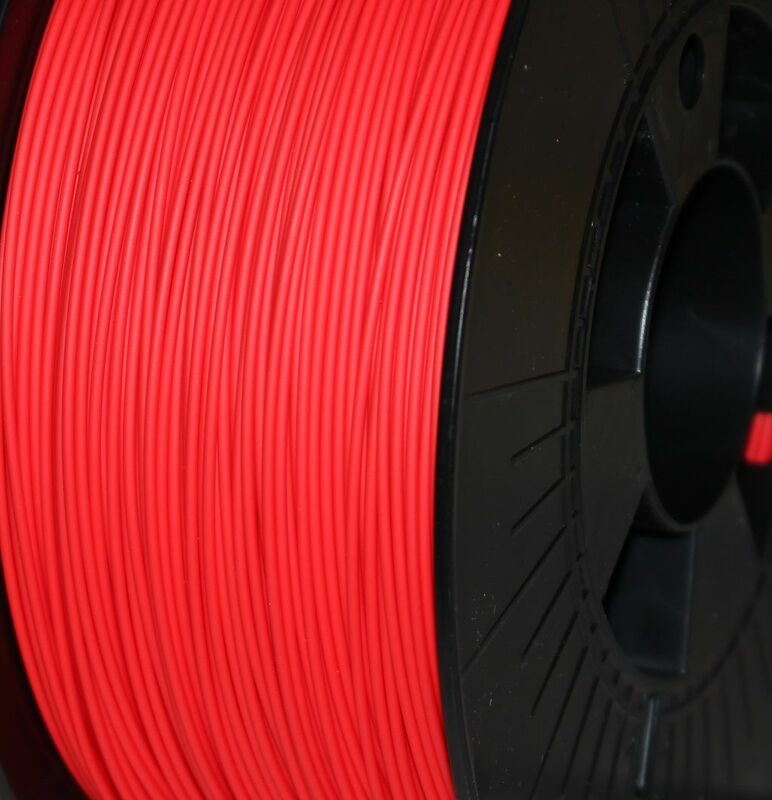 FILAPRINT PLA X3 Red is an industrial high performance PLA which features extreme performance on speed, mechanical properties and high heat environments. FILAPRINT PLA X3 is an industrial high performance PLA which features extreme performance on speed, mechanical properties and high heat environments. FILAPRINT PLA X3 is perfect for printing speeds of > 120mm/s, allowing you to be more efficient and save valuable printing time. 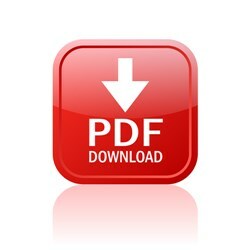 Users who are generally used to printing with ABS now have a bio-based alternative material with all the advantages of ABS and none of the disadvantages such as shrinking, delamination or warping. Due to the composition of FILAPRINT PLA X3 the material is already highly crystalline after printing, which increases the stiffness of the material at higher temperatures. When you combine this with the additional *annealing process, the FILAPRINT PLA X3 material reaches a HDT (Heat Deflection Temperature) of 95°C+. In addition, compared to other high temp. 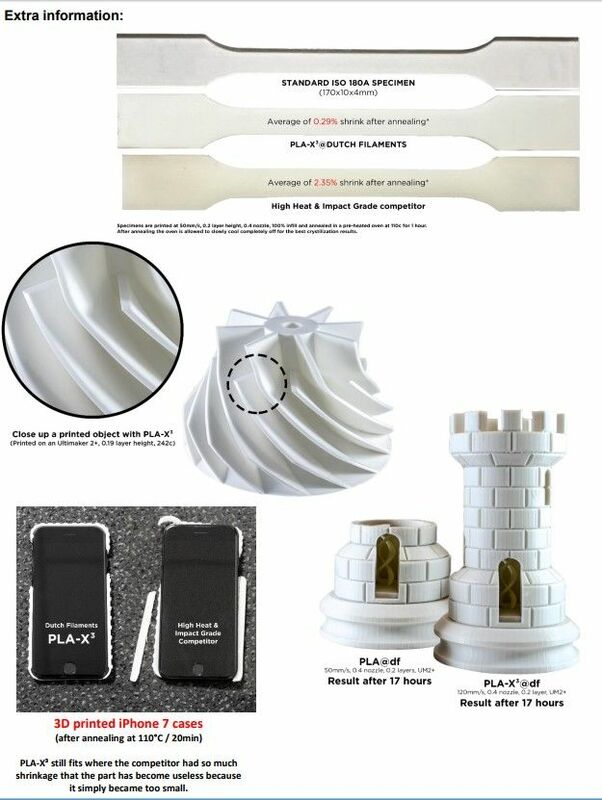 resistant PLA types FILAPRINT PLA X3 has the USP of negligible small shrinkage after annealing (the dimensional accuracy is superb). FILAPRINT PLA X3 has been specifically engineered for industrial applications where you want an easy to print filament with high mechanical properties. Objects that are printed with FILAPRINT PLA X3 will have a semi matte finish which not only looks great but helps conceal layer lines.